This week will be one of those times when you have to make some hard decisions about who to hear and where to go! No less that McCoy Tyner leads off at the Dakota, quickly followed by two nights with Matt Slocum and his new Trio Pacific at Studio Z, an evening with Douglas Ewart, and a night with Rudresh Mahanthappa and his Bird Calls at Vieux Carre, who are followed by a return engagement from keyboard great Bobby Lyle. Two jazz series get underway as well -- Jazz in the Target Atrium and Eight O'Clock Jump. Jazz is alive and well here! Friday, October 21. 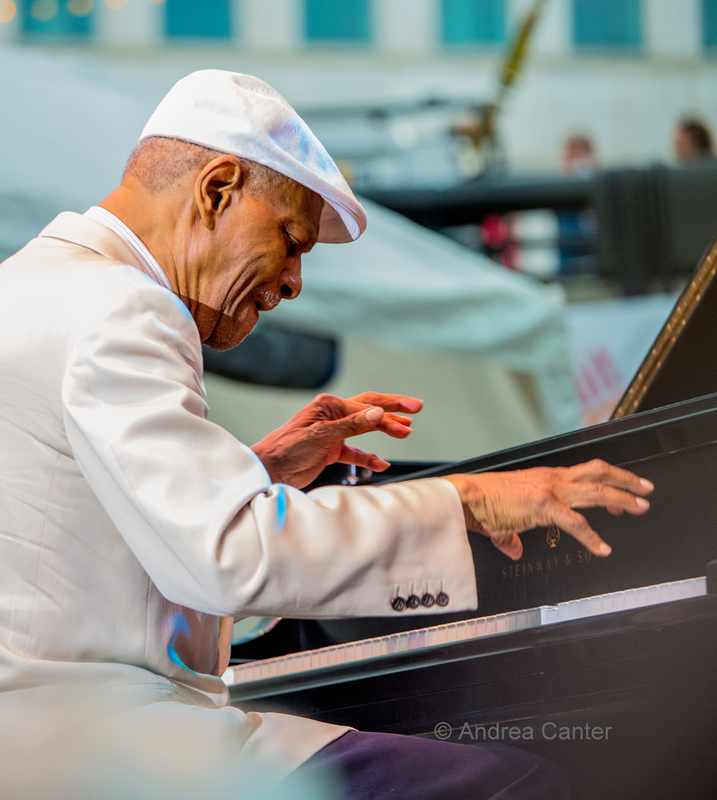 Tonight is the second night with a living legend, as pianist and NEA Jazz Master McCoy Tyner is back on stage at the Dakota with his quartet. 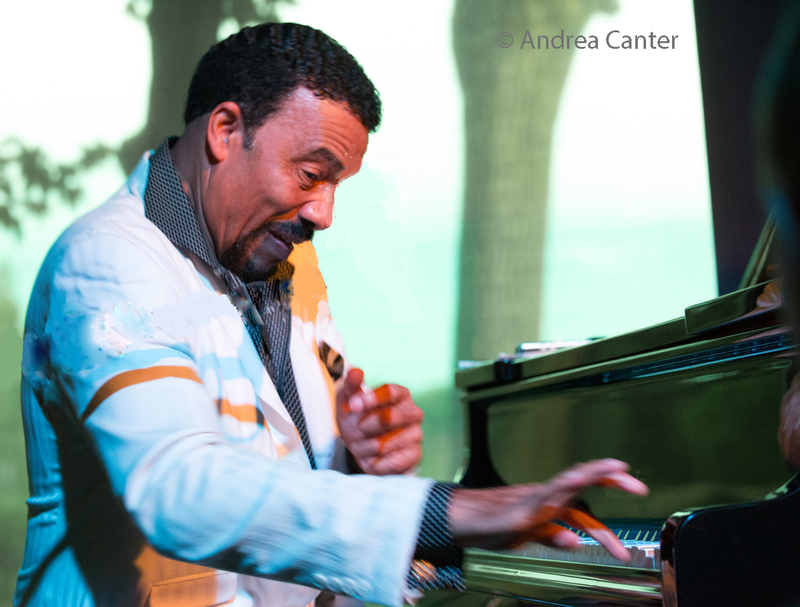 One of the last still-performing artists to play with Coltrane, Tyner has had a strong influence on some of the top artists of the 21st century including Craig Taborn and Geri Allen. 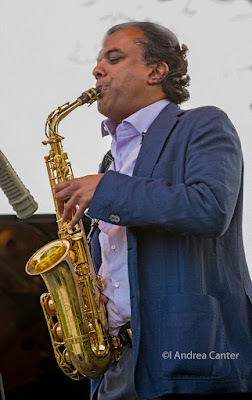 And his quartet includes saxophonist Gary Bartz, bassist Gerald Cannon, and our Artistic Director for the Twin Cities Jazz Festival, drummer Francisco Mela. 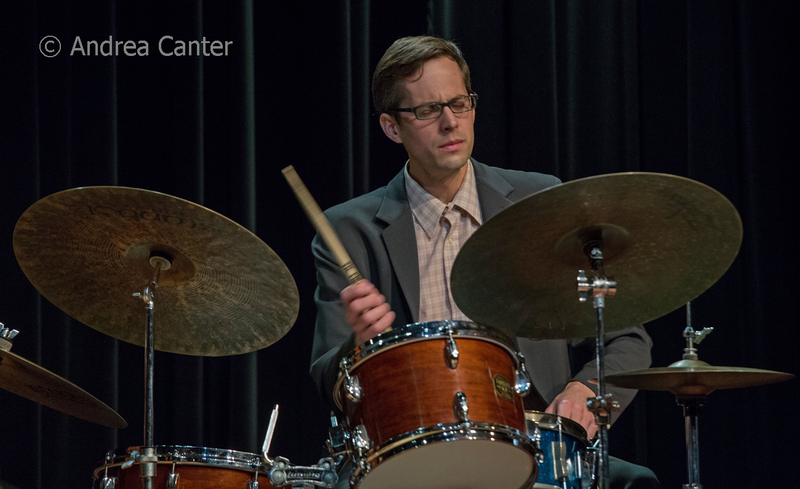 Jazz in the Target Atrium moves to Friday nights this season, launching the series with a focus on the balladry of John Coltrane. 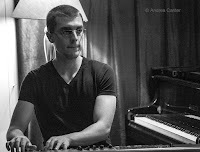 Pianist, composer, bandleader and jazz impresario Jeremy Walker reassembles his Atrium Jazz Ensemble to play in one of the most intimate and scenic venues in the Metro, tonight featuring Brandon Wozniak on saxophone, Jeff Bailey on bass and Kevin Washington on drums, with special guest Rodolfo Nieto on vocals. Much of the program will be drawn from the music on John Coltrane/Johnny Hartman and Coltrane's Ballads albums, with an original addition from Walker, who doubles on piano. For the full season, the focus is on the music of Coltrane and Duke Ellington. Few if any tickets remain for the season opener, but do check back with the Box Office or come down to Orchestra Hall early as tickets usually become available at the last minute. Another season opener, this one at Walker West, the Eight O'Clock Jump Series starts off with drummer Davu Seru and his New Territory Band with guitarist Dean Granros, saxophonists Nathan Hanson and Tyler Cessor, trombonist Dave Graf, and trumpeter Noah-Ophoven Baldwin. 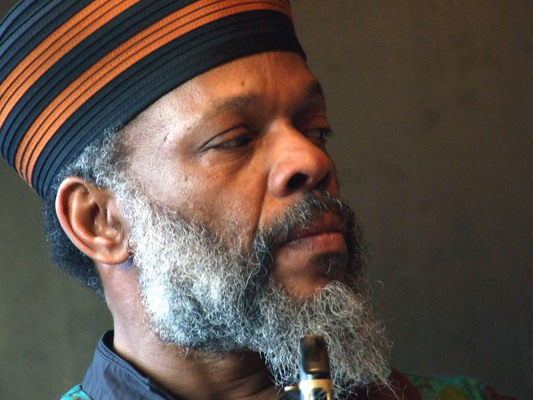 The inventive percussionist describes the band as "a book and its rotating cast of interpreters." More for Friday -- Donald Washington Group at the Black Dog, the CC Septet at Jazz Central, Joel Shapira and pals at Parma 8200, and pianist Jon Pemberton followed by vocalist Jana Nyberg at Vieux Carre'. Friday-Saturday, October 21-22. 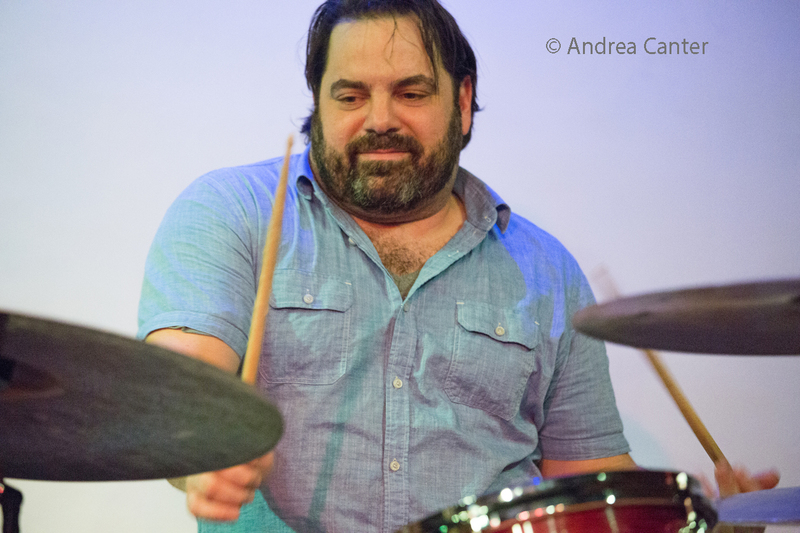 St Paul native, now a New York transplant, drummer Matt Slocum and his new Trio Pacific celebrate the release of the band's first album at Studio Z. 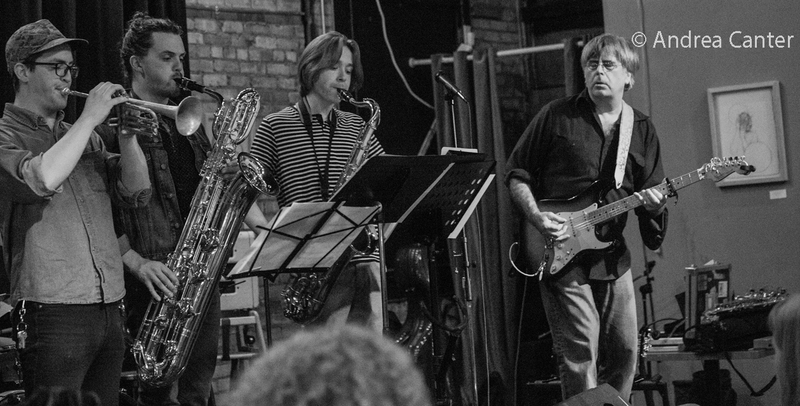 This is an unusual configuration of saxophone (Dayna Stephens), guitar (Steve Cardenas) and drums (Slocum). 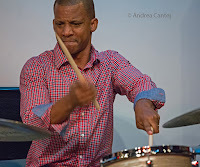 It's a beautiful album of mostly Slocum originals, some written specifically for this trio, and amply demonstrating that this drummer isn't just a firebrand on his instrument, he's one of the leading composers of his generation as well. At the Icehouse, you can spend two nights with Javi Santiago and Ted Olsen --piano and bass duo--for the dinner sets. Both have established their cred on the local jazz scene as performers, bandleaders and composers. Saturday, October 22. Saturday Night Jazz at the Black Dog features one of the treasures of avant garde music, AACM artist and multi-instrumentalist Douglas Ewart and Quasar, a "sonic and movement paradise" featuring an all-star ensemble of like-mined, multi-talented artists including vocalist/spoken word creator Mankwe Ndosi, choreographer/dancer Leah Nelson, cellist Jacqueline Ultan (Jelloslave), computer musician/ sound designer Stephen Goldstein, pianist Carei Thomas, and saxophonist Donald Washington. 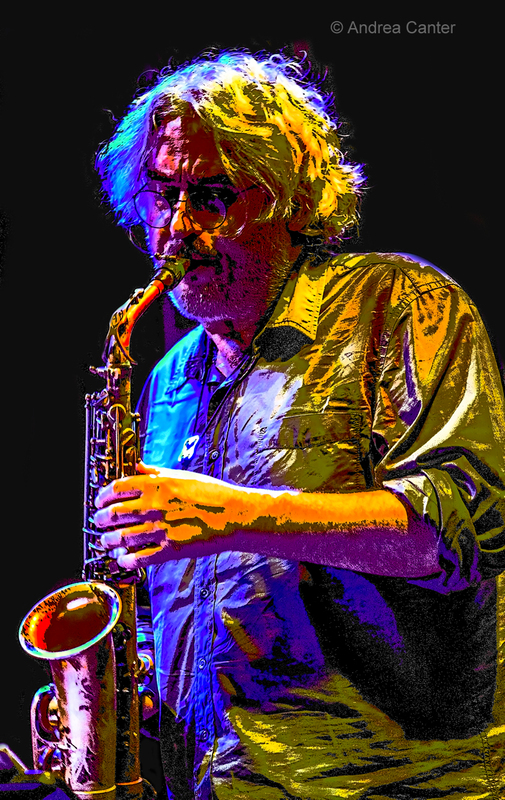 Ewart himself will bring an arsenal including sopranino saxophone, English horn, didgeridoo, voice and percussion. Opening the evening will be a quartet of John Devine and Bill Lang on saxes with Brock Thorson on bass and Alden Ikeda on drums. 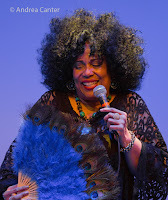 Also on Saturday, it's the third annual birthday celebration and fundraiser at the Bedlam for the PipJazz organization, as soulful singer Pippi Ardennia brings in a long list of musicians to make her birthday special--her PipJazz SX Band, PipJazz All Stars, pianist and composer Jo Schad, and special guest, singer-songwriter Kevin Sandbloom. 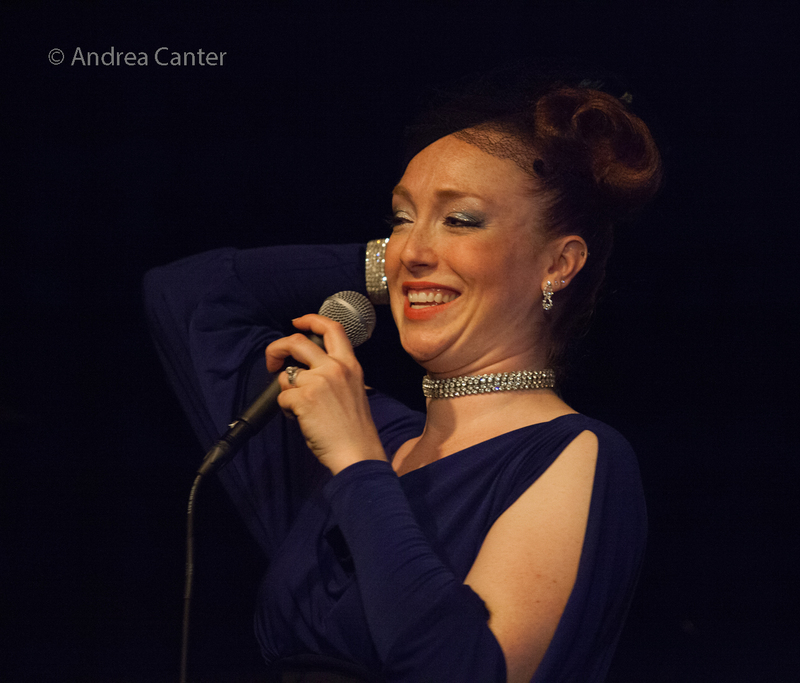 More on Saturday --Patty Peterson and Friends at Crooners Lounge, Nachito Herrera at the Dakota, Benny Weinbeck at Parma 8200. Sunday, October 23. 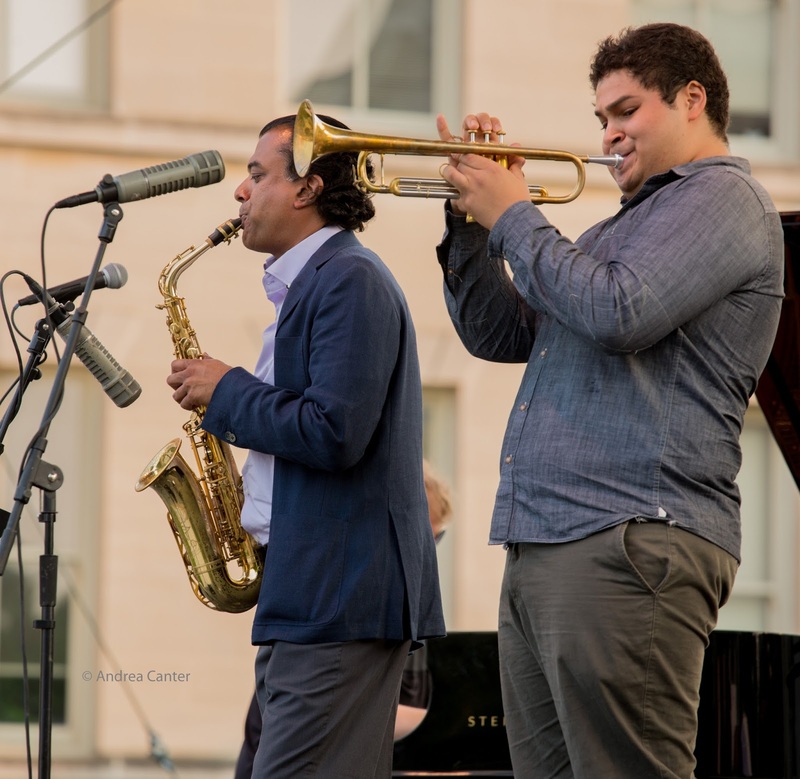 It's a rare Sunday night at Vieux Carré and what a rare show --Grammy nominated saxophonist Rudresh Mahanthappa and his current Bird Calls ensemble come to town, with sensational young trumpeter Adam O'Farrill; Thomas Kneeland (bass) and Joshua White (piano) round out the quartet. Mahanthappa has appeared in the Twin Cities over the past few years in a collaboration with the Ragmala Dance troupe and with Rez Abbasi and Vijay Iyer at the Walker Art Center. The intimate space of Vieux Carré should be an ideal setting for Abbasi, and the (reasonable) $35 cover should filter out the casual not-listeners. Rudresh's music is nothing short of divine. Monday, October 24. The on-the-edge magicians of Fall of the House of Usher hold an EP release at the Icehouse on this week's installment of JT's Jazz Implosion, with Chris Cunningham (guitars), son (and still a teenager) Ivan Cunningham and Jared Jarvis (saxes), Noah Ophoven-Baldwin (trumpet), Chris Bates (basses), Greg Schutte (drums), and Adam Svec (vocals). 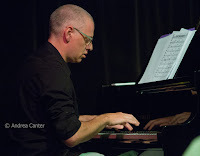 In the Dunsmore Room, celebrating that new Steinway, Bobby Lyle returns home to Minnesota to play with pal Billy Peterson (bass). His show here a few months ago left everyone breathless. Expect more of the same! At Jazz Central, gifted young saxophonist and composer Aaron Hedenstrom returns to the "Spotlight." Tuesday, October 25. 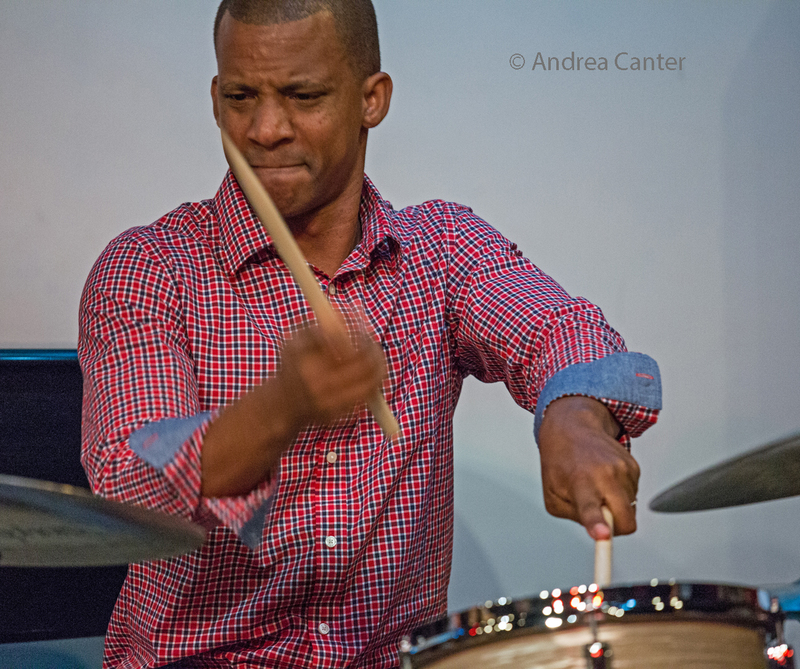 Drummer Brian Claxton --an Eau Claire grad now based in Greeley, Colorado, and alum of the John Raymond Project--brings a trio to the Dunsmore Room, while the Twin Cities Latin Jazz Orchestra returns to Jazz Central on Big Band Night and JT Bates brings Grain (B3 organ trio) back to Vieux Carré. Wednesday, October 26. Founding member of Five by Design, Terry, Kurt and Lori Niska now tour as The Niskas, landing tonight in the Dunsmore Room. At Jazz Central, Casey O'Brien brings in Tri0, with John Keston (electronics), drummer and electronics producer Graham O'Brien, and bassist Cody McKinney. Thursday, October 27. 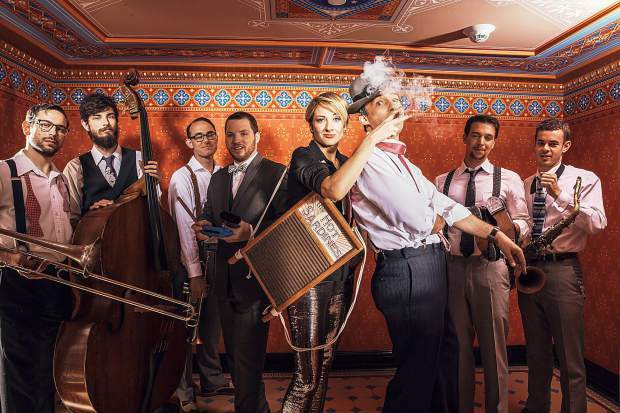 The Dakota presents the hot band, Hot Sardines-- "hot jazz as it was in the era when live music was king, with a little glamour, a little grit and a lot of passion." The ensemble, lead by Evan "Bibs" Palazzo and lead singer Miz Elizabeth, meld the sounds of New York, Paris and New Orleans, and Miz Elizabeth has one of the most engaging voices on the jazz scene. 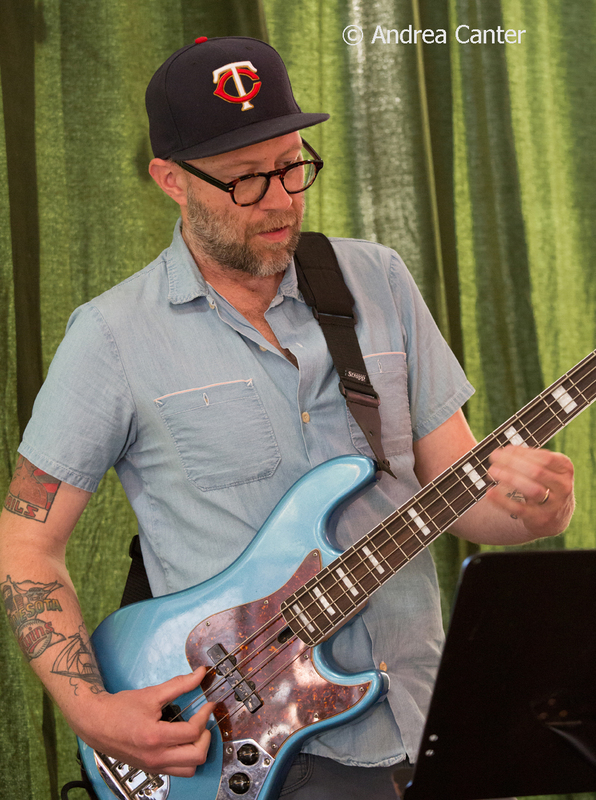 Khyber Pass Cafe presents a solo night with Paul Metzger on "modified" banjo, Zacc Harris opens on solo guitar at Vieux Carré, and at Reverie, it's Bottomless Pit with Joel Shapira, Pete Whitman, Tom Lewis, and Eric Gravatt. 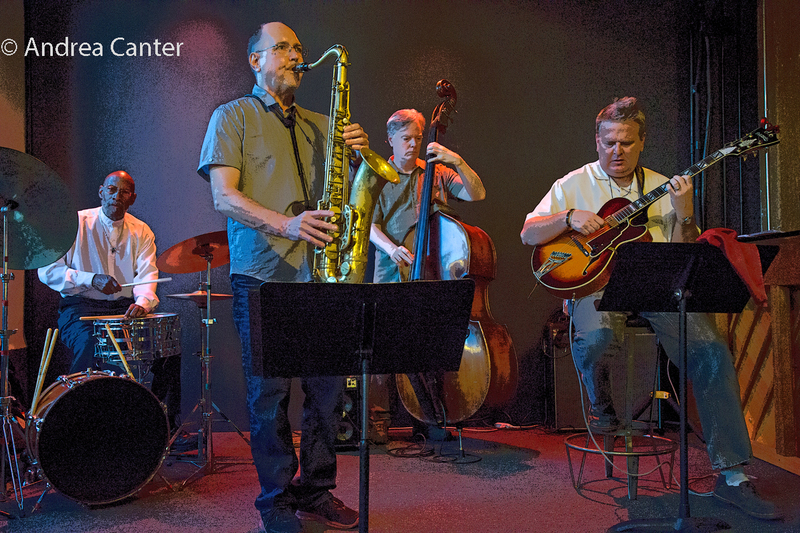 There's even more jazz around the metro this week. See the live jazz calendar posted on the KBEM website, and see more about jazz events at jazzpolice.com --online and on facebook. Andrea broadcasts a modified edition of The Lead Sheet every Thursday at 4:40 pm on KBEM radio 88.5 FM, rebroadcast at 8:20 am on Friday mornings. My guest next week is guitarist Steve Blons with news about Soul Cafe and their October 30th concert.